My love for Ghostbusters is well documented on this site. Just look at my avatar and the fact that there's a "Ghostbusters" section at the top. But while my interest in this fantastic foursome started with the original 1984 movie, my love for it didn't develop until The Real Ghostbusters premiered thirty years ago today. 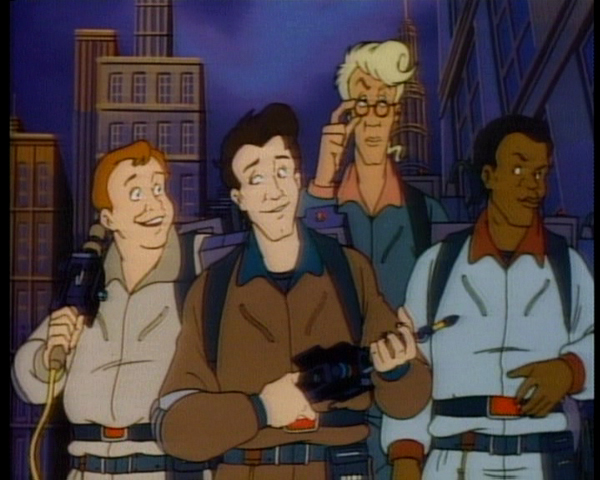 The Real Ghostbusters debuted September 13th, Saturday morning on ABC with "Ghosts R Us." Let's take a look at the episode that started off the series. While the character designs were completely different, the feel was much more kiddie, and Slimer had taken on a mascot role, this was the perfect show for an 11-year-old kid to latch on to. But still, today I've been binging a bit on episodes and reminiscing about my childhood, and just wanted to share some of my experience. So happy 30th birthday Real Ghostbusters!